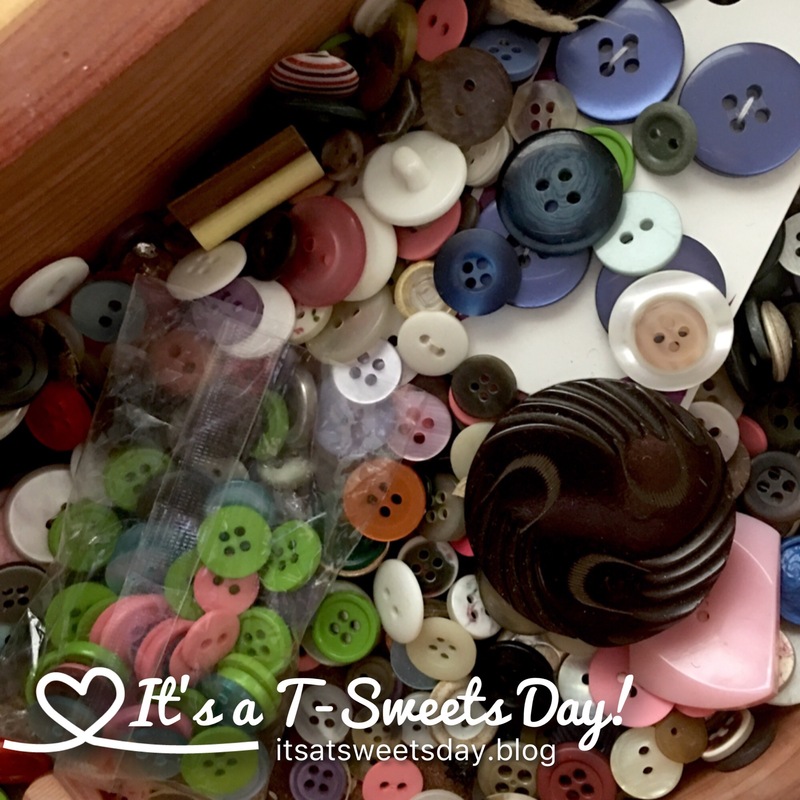 Totally Tipster- How to Organize a Button Box – It's a T-Sweets day! 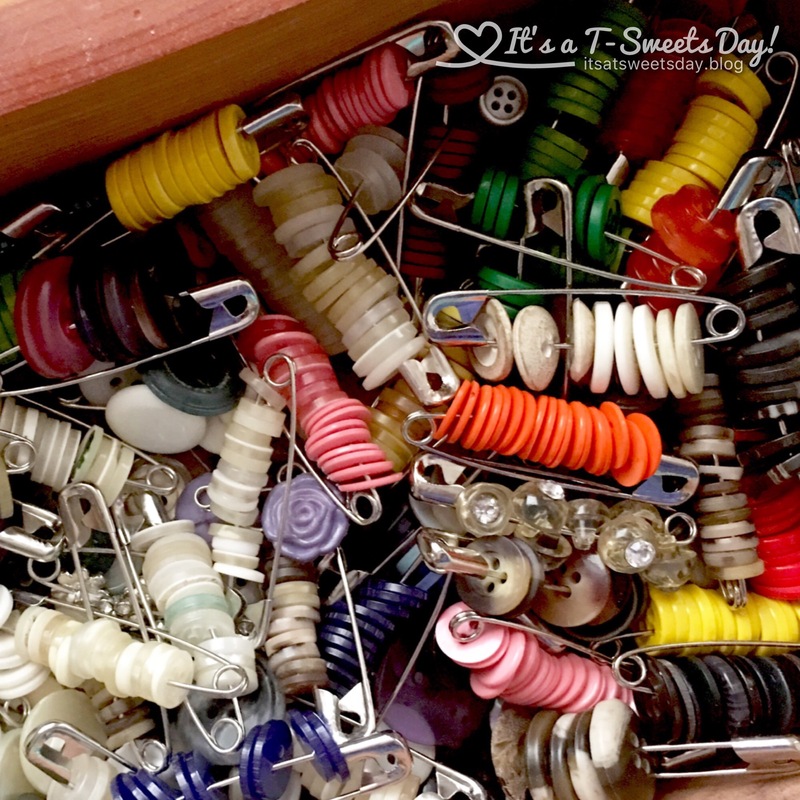 Published on May 16, 2017 May 17, 2017 by Tracy @ It's a T-Sweets Day! Come on, I know that most of yours look very similar to this as well:). Now, I like the look of a button jar or the feel of running buttons through my fingers, but this is not a decorative button box. It is supposed to be a working button box. I dug around looking for matching small white buttons for about 30 minutes, and finally said, “Enough already!! 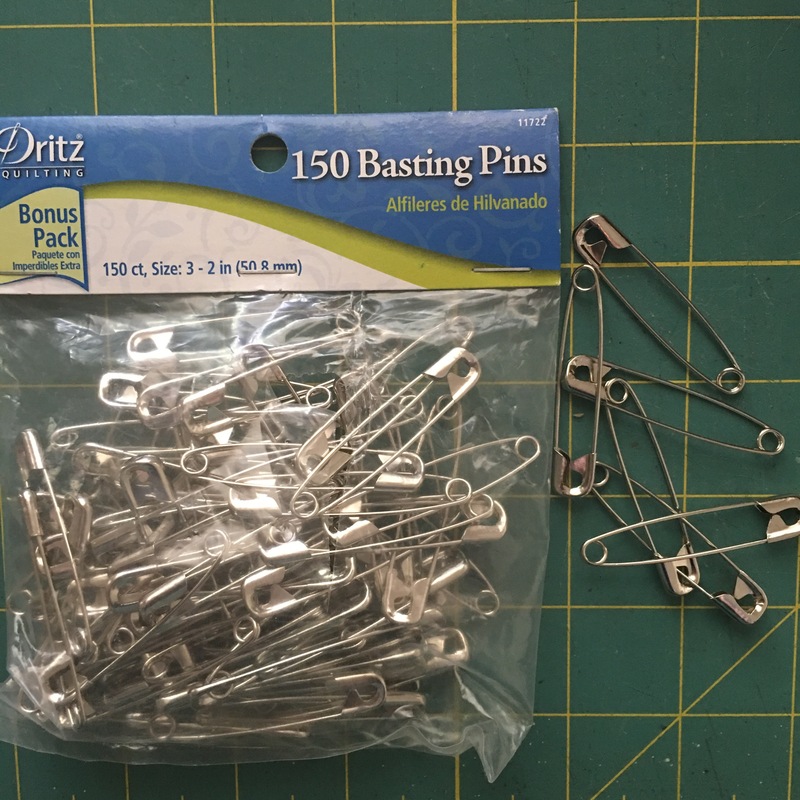 It’s time to fix this!”I took out a package of large safety pins that I had in a drawer and got to work. I divided the buttons by color and then started pinning button sets on pins. It really didn’t take that long, and they look so pretty! Not every button had a matching set, so I left those alone in the box for single button projects. I just love LOVE LOVE how easy it is to find buttons now! Pick a colored pin and off I go:)! SWEET!! 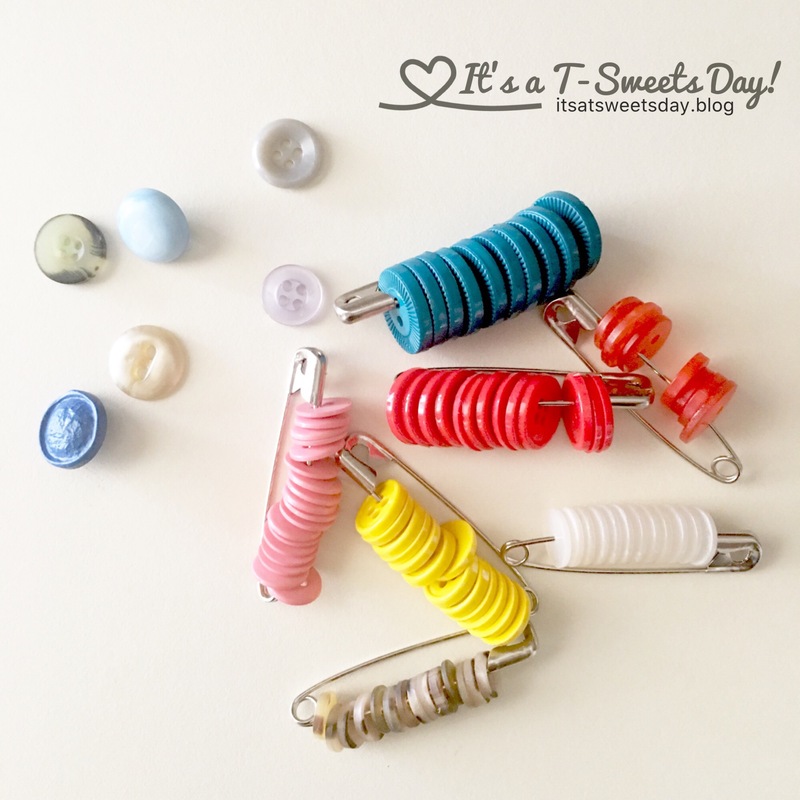 I hope this Totally Tipster Tip helps some of you get your button collection under control too. ﻿Please feel free to leave me a comment if you do:)! I love that idea! I have my mother’s button box as well…. I am definitely going to do this! In so glad Brenda!! You will be happy you did:)! Brilliant idea! Must get some safety pins! Why did we wait so long? 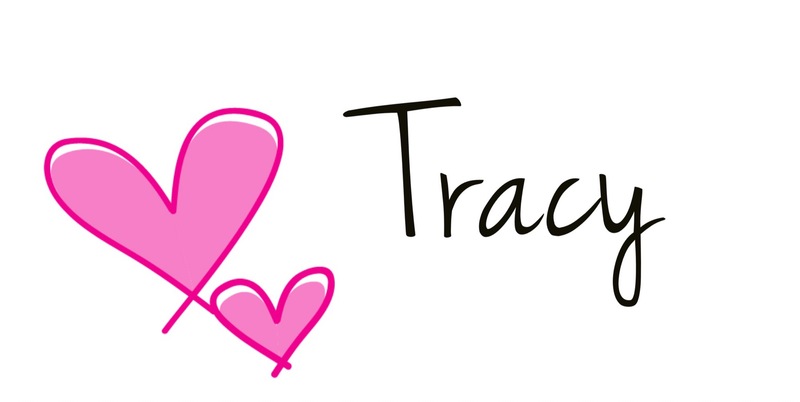 Easy, inexpensive, and so handy! Have you been in my sewing box by any chance? What a clever idea, and so pretty. And now if I would just safety pin the buttons tower when I take them off the garment going to scrap world……😃 great idea! This is perfect for scrap world button saving! Fabulous idea. I have a gallon jar full. Little ones like to play with them (no not the size little ones who would swallow them! ), but maybe I’ll do this with some of them anyway. I hope you do! It has certainly made my life easier:)!